LIQUID supplements produced by Graincorp Liquid Feeds have been approved for use by cattle producers operating under Pasturefed Cattle Assurance Scheme (PCAS) guidelines. Graincorp Liquid Feeds’ Molafos and Rumifeed range are the first liquid supplements to gain approval for use under PCAS. Cattle Council of Australia president Howard Smith said as the scheme continued to grow, it was important to make appropriate product use more transparent for PCAS producers. “The ‘PCAS Approved’ scheme was developed to make it clear for all producers what feed and forage products are eligible for use under the program,” Mr Smith said. GLF’s Molafos and Rumifeed range of supplements were now ‘PCAS Approved’ and suitable for certified grassfed production systems, he said. GLF Liquid Feeds national business manager Jeremy Melloy said GLF supported the Cattle Council initiative to provide producers with access to quality assurance programs such as PCAS, to ensure a sustainable future for the Australian beef industry. 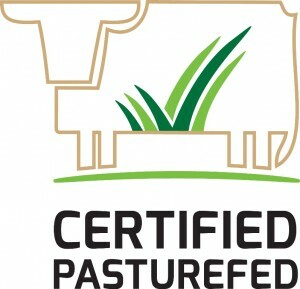 He said the company was committed to providing cattle producers with supplement feeding solutions tailored to their needs, while complying with the PCAS specifications. GLF nutritionist Steve Blake said the Molafos and Rumifeed liquid supplements, designed to promote increased liveweight gain, reproductive efficiency and pasture utilisation, were entirely based on molasses. The products provided a high-energy substrate and a balanced supply of protein and minerals, which are required to optimise livestock performance to assist with meeting the PCAS specifications, as pasture quality changes with seasonal conditions, he said.